For many years, I believed that everything I put on my skin was safe. I didn't know that it took 25 seconds for our bodies to absorb the ingredients we put onto our skin. I didn't know that since 1938, the U.S. federal laws and regulations in regards to the skincare and cosmetics industries had not changed. I didn't know that Canada banned 600 ingredients from their skincare and cosmetics products but the European Union banned over 1400! It bothered me to learn that in North America, we banned only half of the ingredients banned in Europe. I didn't know that many of the ingredients found in our skincare and cosmetics contain toxic and harmful chemicals such as Phthalates, Parabens, Oxybenzone, Retinol and Fragrance/Parfum. Toxic and harmful chemicals that have been linked to reproductive issues in women and various forms of cancer. I mean, why would I think the soap I was using could harm me? Why would I think that the shampoo I used to wash my children's hair could potentially harm them in the future? Seriously, the bottle says "gentle" and "safe" for babies and shows a picture of a cute little teddy bear! It wasn't until I was introduced to Beautycounter in November 2016 that my awareness began to shift. I learned that Fragrance (Parfum, Aroma) was an industry loophole in Canada and the U.S. I learned that companies do not have to disclose any of the ingredients that go nto "Fragrance" and can hide hundreds of unknown (and some toxic) chemicals within this SINGLE word. I learned that choosing a safer skincare and cosmetics brand does not mean sacrificing on performance. Beautycounter is a High Performing Skincare and Cosmetics line with a mission to get safer products into the hands of everyone and I am so proud to be a part this amazing line of products. High Performing Skincare has always been a passion of mine and it never mattered how expensive a skin cream was, so long as it worked! I was skeptical when I purchased my first bottle of #2 Plumping Facial Oil from Beautycounter. I was skeptical, and then I was AMAZED. I was amazed that this little miracle in a bottle changed my skin composition during the cold winter months from being dry, itchy and lack lustre to being plump, hydrated and dewy for the first time in years! Anyone who lives in Canada during the freezing months knows exactly what I am talking about! That being said, living in Canada and experiencing four beautiful seasons, my skin is always adjusting to different temperatures and I am always looking for something different for my skin. 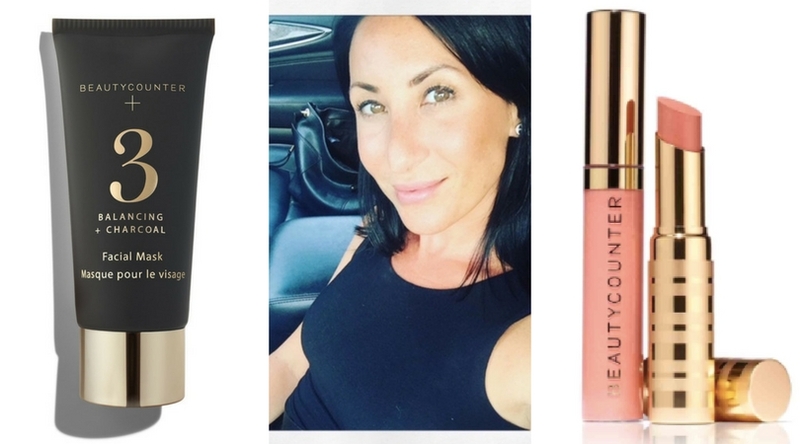 The summer months called for different regimens and I was more than happy to find out which products worked best for me... and so began my journey and love affair with Beautycounter. Trying out every single product, discovering my favourites and then making it my mission to share these products with everyone! Thank you so much for visiting. I hope to inspire you to make the switch to safer!